MARCoNS is a diagnosis not recognized by medical science that is an abbreviation of Multiple Antibiotic Resistant Coagulase Negative Staphylococci. Proponents of MARCoNS claim it is a type of antibiotic resistant staph that can be found deep in the nose. 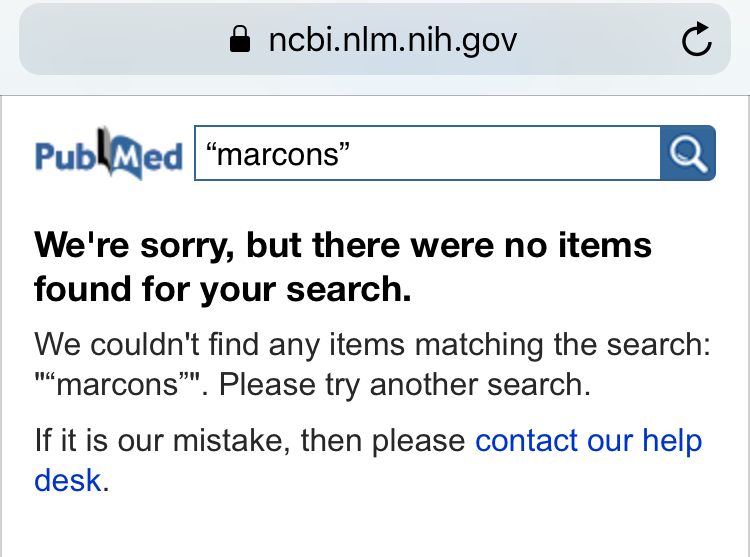 Those who diagnose MARCoNS are typically incompetent quacks. These quacks may advertise themselves using terminology such as “integrative”, “functional”, “Lyme literate”, or “holistic”. Many quacks are well-meaning and sincerely believe in what they’re selling. MARCoNS is associated with those who believe in other unrecognized conditions such as “toxic mold illness”, sometimes called biotoxin illness or Chronic Inflammatory Response Syndrome (CIRS). CIRS was made up by Ritchie Shoemaker, a doctor who stopped practicing medicine after being disciplined by the Maryland Medical Board. There is no compelling evidence to support MARCoNS diagnosis and treatment. 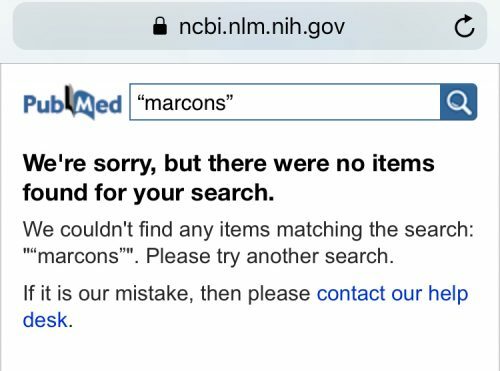 A 2018 search of PubMed for papers about MARCoNS returned no results for the purported sinus infection. A search of PubMed Commons (a different database) returned two papers, both authored by Dale Bredesen. Bredesen makes questionable claims about being able to treat Alzheimer’s disease. Bredesen provides no evidence that MARCoNS exists. A nasal spray called BEG (containing Bactroban, EDTA, and gentamicin) is advertised as a treatment for MARCoNS. This is not a drug combination used in mainstream medicine. Its safety and efficacy are unknown. It’s important to understand that drug development is not easy. Safety, efficacy, dosage, and cost are all important factors. Thus, miracle claims made by practitioners of unproven and disproven treatments need to be questioned. No ethical doctor would prescribe BEG because it has not been adequately tested in humans. No ethical doctor would prescribe a treatment for a diagnosis that isn’t real, like MARCoNS. To learn more about pharmacology, please see our page about supplements and herbs. Scientific evidence doesn’t support the use of colloidal silver dietary supplements for any disease or condition. 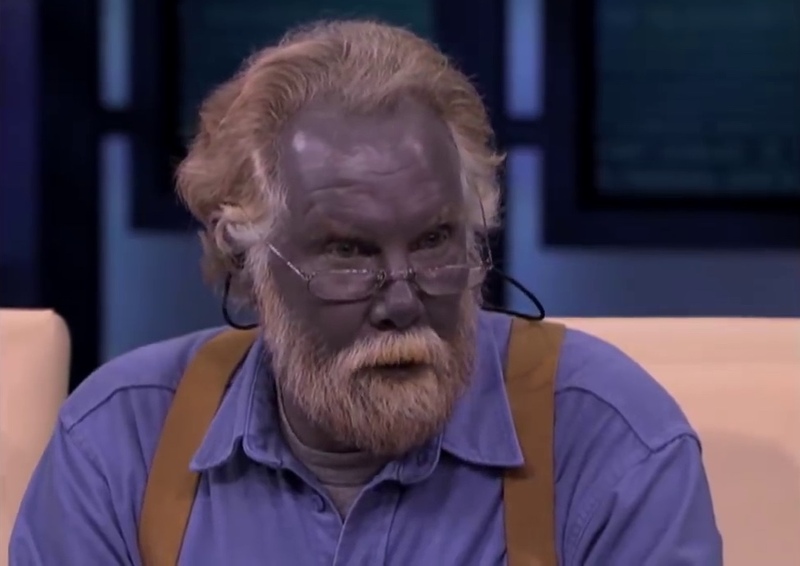 Colloidal silver can cause serious side effects. The most common is argyria, a bluish-gray discoloration of the skin, which is usually permanent. Colloidal silver can also cause poor absorption of some drugs, such as certain antibiotics and thyroxine (used to treat thyroid deficiency). The FDA also warned in 1999 that colloidal silver isn’t safe or effective for treating any disease or condition. The FDA and the Federal Trade Commission have taken action against a number of companies for making misleading claims about colloidal silver products. Several questionable labs advertise testing for MARCoNS, including Microbiology DX of Bedford, MA and NutriPATH of Victoria, Australia. LymeScience does not recommend patronizing these labs. Many forms of pseudoscience use sciency-sounding words to appear legitimate. In the case of a fake MARCoNS diagnosis, it is based on a real group of bacteria called coagulase-negative staphylococci (CoNS or CNS). In reality, CoNS are typically naturally found in healthy people. It is normal to find CoNS on our skin. Even if a test were to accurately determine a patient carried a type of CoNS, the clinical significance of the finding would be highly questionable. The CoNS could be essentially an innocent bystander being blamed for completely unrelated symptoms. Becker K, et al. Coagulase-negative staphylococci. Clin Microbiol Rev. 2014;27(4):870-926. Helewa RM, Embil JM. What to do with Coagulase-Negative Staphylococci. The Canadian Journal of CME. 2007.